(Beirut) – A Cairo court of minor offenses handed down three-year sentences to 23 people for breaking an anti-protest law that allows Egyptian authorities broad powers to ban or disperse most public demonstrations. One of those sentenced on October 20, 2014, Yara Sallam, is a researcher with the Egyptian Initiative for Personal Rights, one of the country’s leading human rights organizations. The court also fined the defendants 10,000 EGP (US$1,400) each. 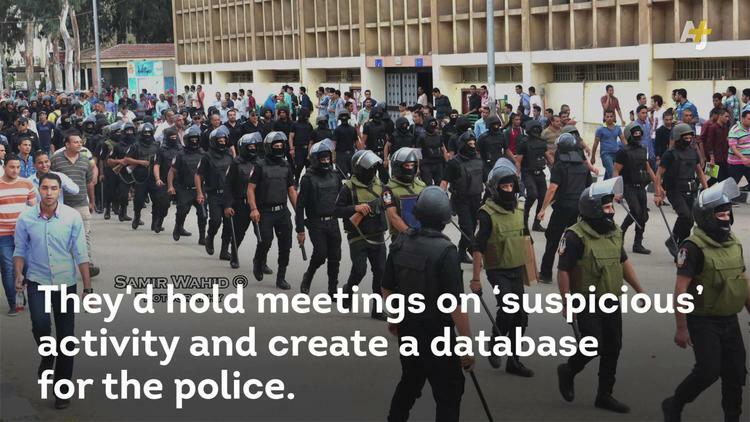 Police arrested the group on June 21 at a peaceful protest where they were calling for the repeal of the law, which then-interim President Adly Mansour issued by decree on November 24, 2013. The defendants can appeal the verdict. Rights activists estimate that authorities have arrested hundreds for breaking the law, which grants the Interior Ministry an absolute right to ban protests or public meetings on the basis of “serious information or evidence that there will be a threat to peace and security,” without requiring any proof.